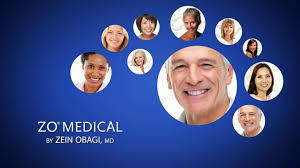 Zein Obagi is a board-certified practicing Dermatologist, world-renowned skincare expert, award-winning inventor, educator and author. He was the first to conceive new skin as a science, and coined the term Science of Skin Health which defined skincare to include creating and maintaining healthy skin. AVAILABLE IN OUR PEACHTREE CITY OFFICE or at www.zoskinhealth.com/drcmclendon.